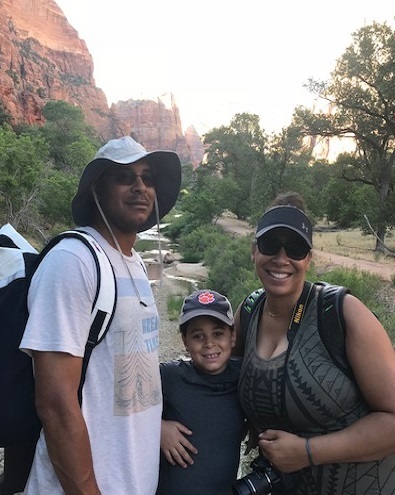 "Raising and providing for my son is my proudest accomplishment, and spending time with my family is my favorite thing to do when I have spare time." "Two years into the position I became the lead massage therapist over 75 therapists and helped open Qua Baths and Spa at Caesars Palace." The ISPA community has its very own Wheel of Fortune winner, and that person is Natasha Burns. Born on the Ohio River in Lawrenceburg, Indiana, Natasha is a fan of the Kardashians and her alma mater Purdue Boilermakers. Living and working so close to Cincinnati, Ohio, she also cheers on the Cincinnati Bengals. Natasha has been in the spa industry for 15 years, during which time she has set herself apart through her fun, motivated and detail-oriented approach to life. Her journey through the industry has taken her from Indiana to Arizona to Las Vegas and finally, back home to the Ohio Valley. “I received my bachelor's degree from Purdue University in Athletic Training,” remembers Natasha. “After graduating, I went on to get my master’s and was a graduate assistant athletic trainer at Arizona State University. A year into graduate school, I decided I didn’t want to be an athletic trainer anymore, so I went to massage school in Scottsdale, AZ. I finished my degree in Education and moved to Las Vegas after also graduating from massage school. I soon landed my first massage job at Caesars Palace. A massage therapist’s favorite spa treatment is always an interesting look into their personality, and Natasha’s favorite treatments are Chakra Balancing and Aroma Touch Ritual (which is on the Spa at 21c menu). A truly balanced individual, Natasha is an impressive and hard-working member of our ISPA family.